Combine all te ingredients for the pancakes. Fry the pancakes on both sides in a hot pan with a minimum amount of oil. 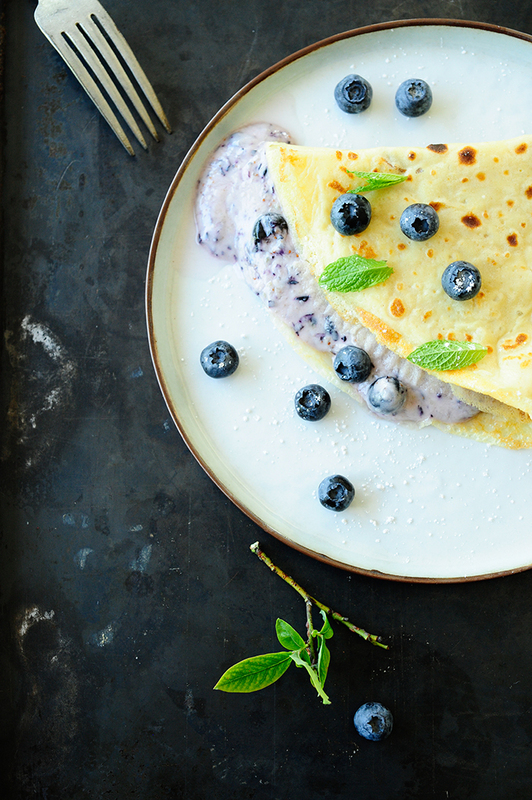 Put the mascarpone, fromage blanc, blueberries and sugar in a foodprocessor and blend. 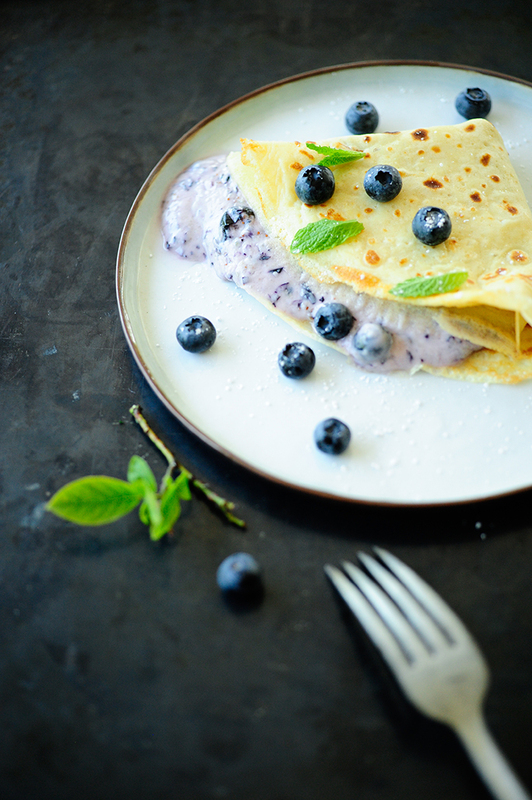 Spread the blueberry mixture on the pancakes and serve garnished with blueberries, mint and powder sugar. Enjoy!